After a week of iconic Sunset conditions, finals day at the men's Sunset Open QS1,000 received more pumping swell. In the end, it was our own Cody Young who dominated a heavily-stacked Final to claim his first-ever QS win after powering through a marathon day in 12-to-15 foot swell on hand. 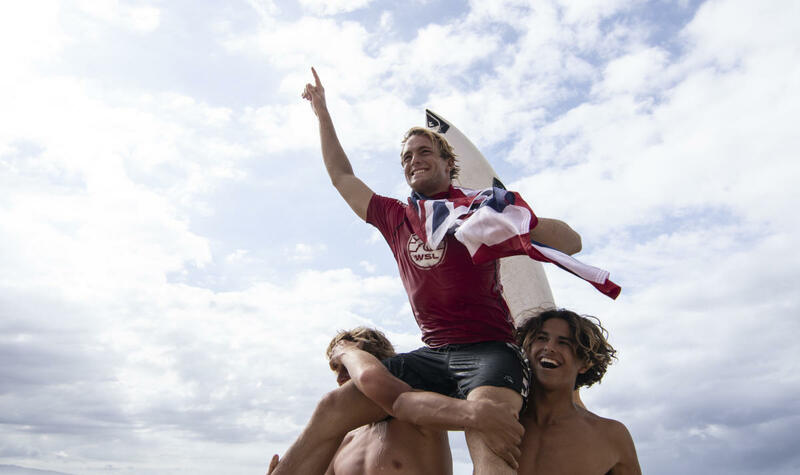 Young faced three former Sunset victors including defending event champion, and fellow Maui native, Billy Kemper, 2017 Sunset Open winner Jack Robinson, and 2018 HIC Pro champ Kiron Jabour of Oahu, Hawaii. But, the first-time QS finalist put nerves aside and posted an impeccable 17.77 (out of a possible 20) heat total -- including a near-perfect 9.10 (out of a possible 10) and 8.67 back-to-back. 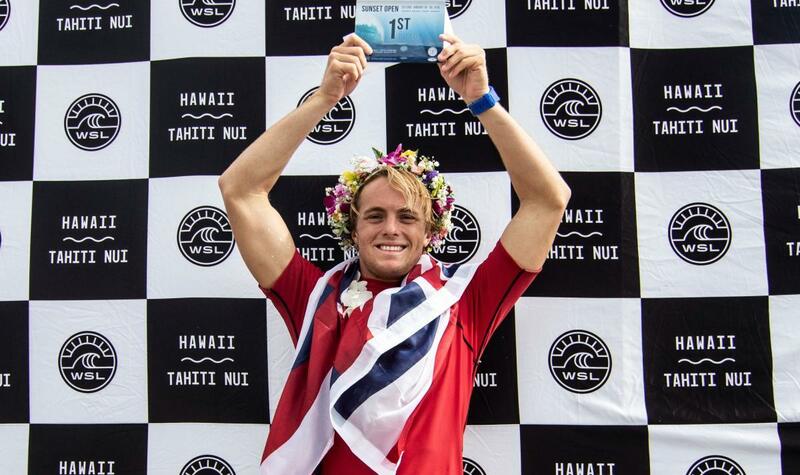 "I've been surfing Sunset since I was 10-years-old, so to make my first Final and take it out here means the world," Young said. "I've had a lot of big Finals where I trip myself out going into it thinking I'm stoked to make the Final, and that was it. This time I treated it like any other heat and I couldn't be happier that it worked out like that. I knew I was going to have to throw huge scores just having Billy, who won it last year in that heat. Along with Jack who's been so good out here and was really in-form, and then Kiron who just won here in October so I almost felt like the underdog." Young's consistency was the key to earn him a Finals appearance after securing a spot into the Quarterfinals and Semifinals with runner-up advancements before taking over his Semifinal heat against Imaikalani deVault and Ian Gentil. Now, Cody prepares for a big 2019 with 1,000 points to jumpstart his season before next week's Volcom Pipe Pro QS 3,000. "It's definitely a good start to the year and I'll carry a lot of confidence into the rest of this season," Young continued. "I could use a little bit of money right now so it's definitely going to pay off. I'm going to carry a lot of confidence into the higher-rated events and hopefully qualify for the Tour eventually."